MOUNTAIN VIEW, CA -- (Marketwired) -- 10/29/15 -- Today eHealth, Inc. (NASDAQ: EHTH) (eHealth.com), the nation's first and largest private online health insurance exchange, published two reports suggesting how strongly consumers' personal expenditures for prescription drugs and other medical care correlate to dissatisfaction with their health insurance. The reports also shed light on just how much of a burden some consumers face in out-of-pocket costs for prescription drugs and other medical care. eHealth's Consumer Satisfaction & Spending for Prescription Drugs and Medical Care report and its Coverage Satisfaction & Utilization Snapshot found that the largest factors predictive of a consumer's satisfaction with their health coverage relate to how much money they spend out of pocket (e.g. 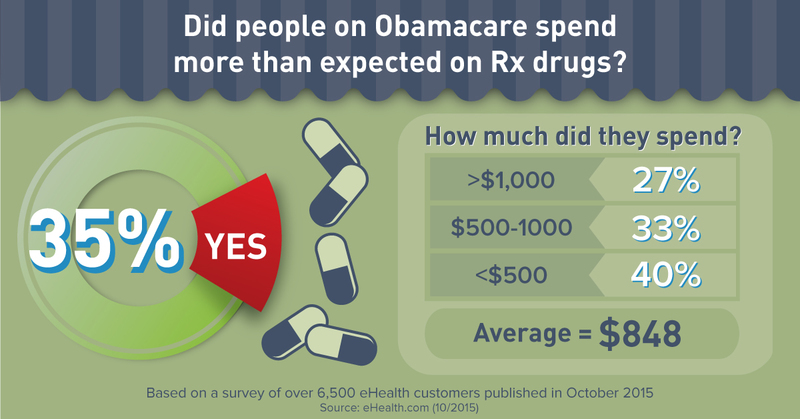 in copayments or deductibles) on prescription drugs and medical care. 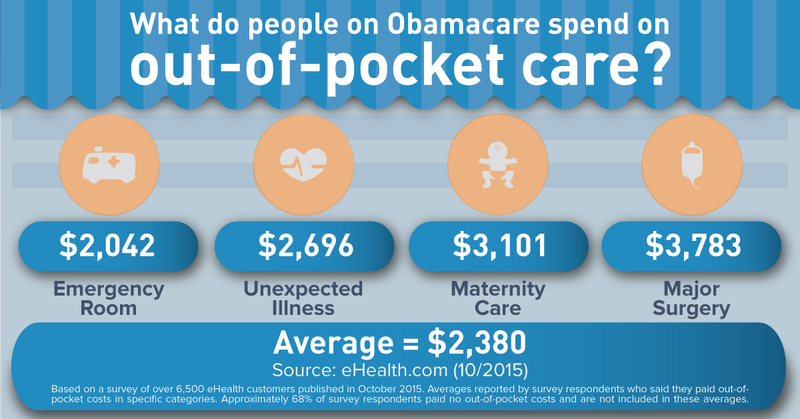 eHealth's Utilization Snapshot report provides a glimpse into how many health insurance consumers face unexpected out-of-pocket costs and what they are actually spending when it comes to prescription drugs and medical care. 91% of those receiving non-preventive medical care paid out-of-pocket costs in the form of deductibles, co-pays, coinsurance and/or out-of-network charges, etc. "No one loves spending money out of pocket toward prescription drugs or medical care, but this survey suggests just how big a role personal expenditures play in consumer satisfaction with health coverage," said Gary Lauer, Chairman and CEO of eHealth, Inc. "Too many health insurance shoppers ignore deductibles and copayments, which can be a major burden for many consumers, and focus only on monthly premiums. If you want to be happier with your coverage over time, we recommend that you work with a licensed agent in the upcoming 2016 open enrollment period to help you choose the plan best suited for you." 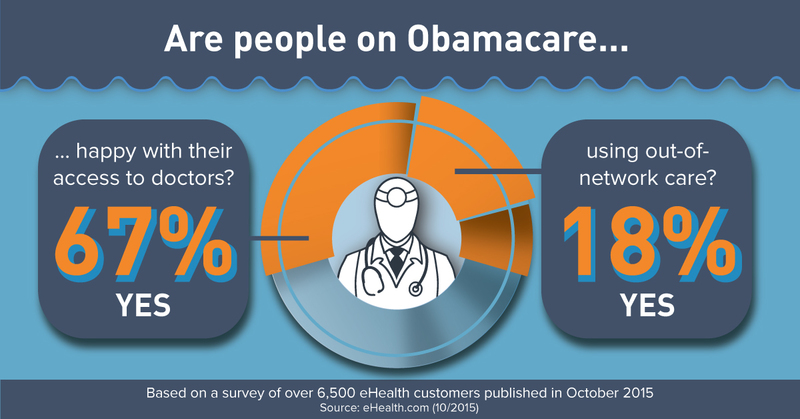 eHealth's reports are based on a nationwide online survey of eHealth customers conducted in July and August of 2015. More than 6,500 responses were collected. All respondents had previously purchased individual or family health insurance plans through eHealth.com, the company's private online marketplace. Respondents were invited to rate their agreement with five satisfaction criteria defined by eHealth. 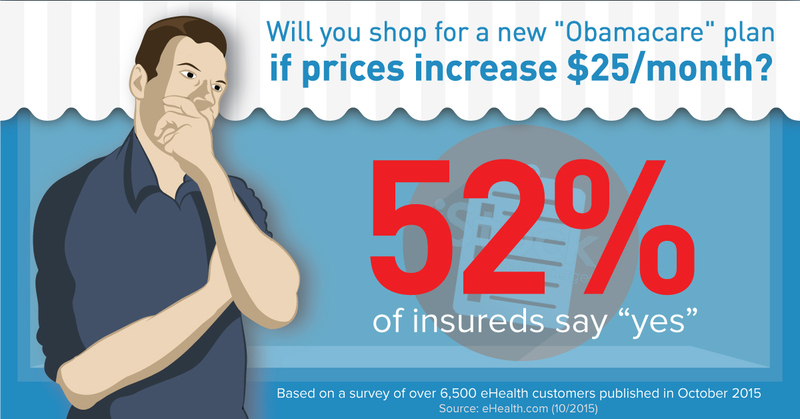 Additional questions were asked about coverage utilization and out-of-pocket costs. For more information about the survey, refer to the Methodology section at the end of each report. eHealth, Inc. (NASDAQ: EHTH) owns eHealth.com, the nation's first and largest private health insurance exchange where individuals, families and small businesses can compare health insurance products from leading insurers side by side and purchase and enroll in coverage online. eHealth offers thousands of individual, family and small business health plans underwritten by many of the nation's leading health insurance companies. eHealth (through its subsidiaries) is licensed to sell health insurance in all 50 states and the District of Columbia. eHealth also offers educational resources and powerful online and pharmacy-based tools to help Medicarebeneficiaries navigate Medicare health insurance options, choose the right plan and enroll in select plans online through PlanPrescriber.com (www.PlanPrescriber.com), eHealthMedicare.com (www.eHealthMedicare.com) and Medicare.com (www.Medicare.com).